Cypriot cuisine is well-known and loved all over the world not only for its tasty and filling traditional salads, soups and main courses but also for delicious and unusual sweets. Which dessert is the best to order in a cafe on the island? What is muhallebi and how to eat kolokiti? You can find the answers to these (and many more) questions in the review below. So-called «sweet sujuk» is one of the most popular sweets in Cyprus. It is made from grape must with honey, almonds or walnuts and tastes (and looks) very much like Georgian «churchkhela». Cypriots often serve sujuk with tea or coffee: these candies are not too sweet and can be a perfect snack for those who want to still hunger. Cypriots usually begin to prepare sujuk during the winemaking season. Grape juice is placed in a large bowl, mixed with honey, heated and stiffen with starch. When the must is thick enough, nuts are threaded onto a string and dipped into it. Then sujuk is left to dry in the sun. Making sujuk at home may be difficult, because it requires large amounts of grape juice, but you can buy these filling sweets almost everywhere on the island. Palouze is another Cypriot dessert based on grape juice. It is, as sujuk, thickened grape juice with nuts, but palouze has jelly texture and can be served both warm and frozen. Pasteli is traditional Cypriot sesame seed candy which is usually made from carob fruit syrup, which tastes and looks almost exactly like caramel. Cooled syrup is cut into small and thin bars. Sometimes grounded peanuts or sesame seeds are added. Kidonopasto is a dessert made from quince, a mysterious fruit that is barely eaten raw. Cypriots cook quinces in water with sugar and lemon juice, then bring the inside of a pot to a jelly texture and cover with sugar powder. This dessert has a strong quince flavor and will be likely appreciated by those who are seeking for unusual and new tastes. 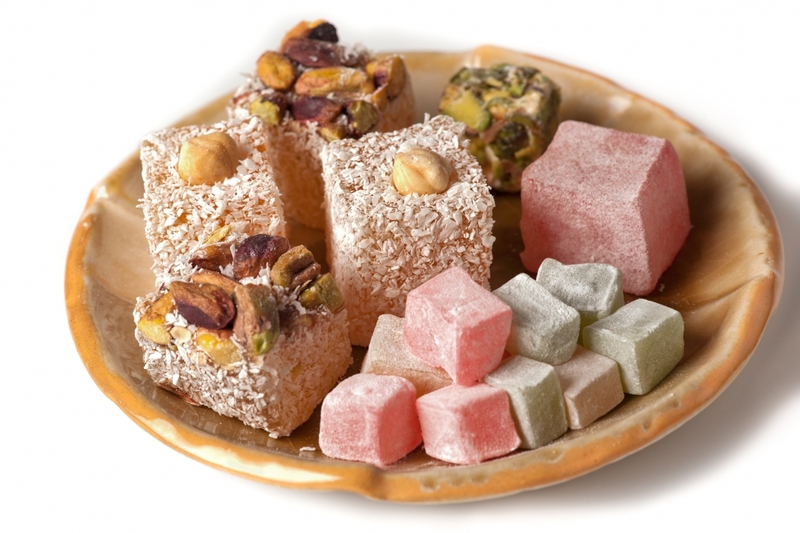 Loukoumi is a traditional oriental dessert better known as Turkish delight. It is considerably easy to cook: you will only need to mix sugar, starch and water, heat them to jelly texture, cool and cover with sugar powder (it helps to avoid extra clinging). This basic recipe has lots of additions and improvements: loukoumi is often cooked with rose water, almonds, pistachios, vanilla and even rice. We decided to publish the recipe of almond loukoumi. There is a loukoumi factory in Lefkara village next to Limassol, where special tours are held for those who want to know how loukoumi is made. Tourists are also welcome to buy this dessert at the factory in Geroskipou (next to Paphos). Mix 3 cups of starch and 3 cups of water in a separate bowl and stir properly. Then pour 3 cups of sugar and the remaining water in a pot and bring to the boil, continuously stirring. Add the mixture of starch and water and grounded almonds. Stew the liquid until it thickens enough. Then pour the loukoumi mass into the dish and allow to cool (or even refrigerate overnight). Serve this confectionery cut into small squares and covered with sugar powder. Baklava is a sweet layered pastry covered with honey or sweet syrup. It was invented in Ottoman Empire, but now is widely used in cuisines of many countries in the Middle East, Caucasus and Balkans. Mix butter and sour cream in a deep bowl, then add flour and mix thoroughly. Cut the dough into 4 even parts and put in the refrigerator. To prepare the filling, grind walnuts and mix them with sugar and two tablespoons of honey. When stuffing is done, take the dough out from the fridge, roll one of the pieces and put the filling on top. Do the same with the second and the third pieces of dough, laying them out in layers.The last piece of dough goes on top and is decorated with small notches. Bake baklava in the oven at 180°C for 20 minutes. Then use the notches to pour sweet syrup made from 2 cups of water and 2 tablespoons of honey inside. Bake the pastry for another 30 minutes until done. 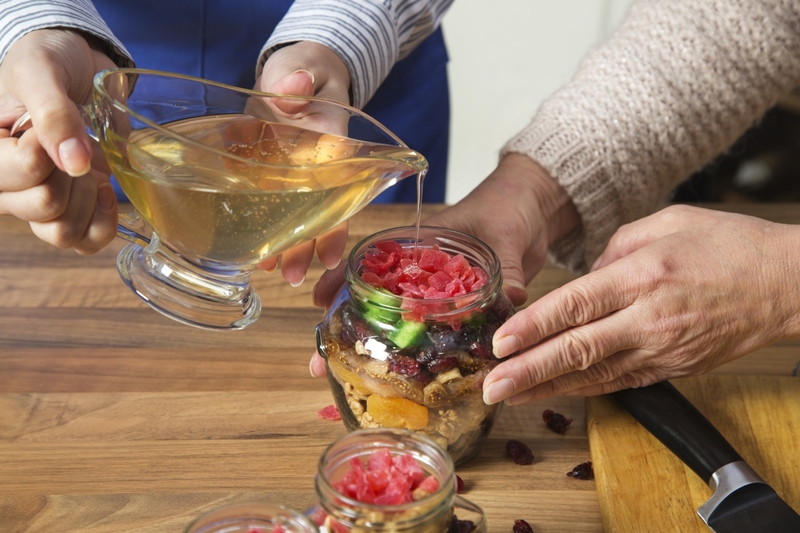 Gliko is a sweet preserve that can be made from whole nuts, fruit, and even vegetables. The name of this dessert is translated from Greek as «sweetness in the spoon». To make gliko, Cypriots most often use walnuts, oranges, lemons, figs, as well as carrots, tomatoes and flower petals. But you can use literally all the fruit except for overripened. Gliko can be a good substitution of old good jam, which also looks unusual: it is served with a glass of cold water. Peel walnuts and pin them with a sharp knife in several spots, then make two angle cuts at two sides of each walnut, cover them with water and leave for 7 days (it is necessary to change the water every day and to keep nuts or fruit covered with it). Then put the walnuts into the earthy water and cover them with something heavy. In 12 hours take them out, wash and boil several times, soak in lime water for 2 hours and dry with paper towels. The syrup is made from 5 cups of water and 2,5 kg of sugar. After syrup is cooled down, add walnuts, clove and cinnamon, bring the mix to a boil and cook for several minutes. Allow gliko to cool down and leave it for 24 hours. Repeat the sequence of cooking and cooling a few times to make syrup thick enough. Finally, add some lemon juice and cook it until done. Gliko preparation takes some time and patience, but once it is preserved you can enjoy the spoon sweet during the whole winter. Muhallepi is a creamy Turkish pudding made of rice or corn flour. It is a common dessert in Cyprus. Pour milk into the pot and start heating. Add flour and stir. When the inside of the pot thickens, add sugar and continue stirring. Add vanilla at the end. Then turn the heat off and pour muhallebi into several different containers. Allow it to cool down, powder with ground cinnamon and put into the refrigerator for several hours. 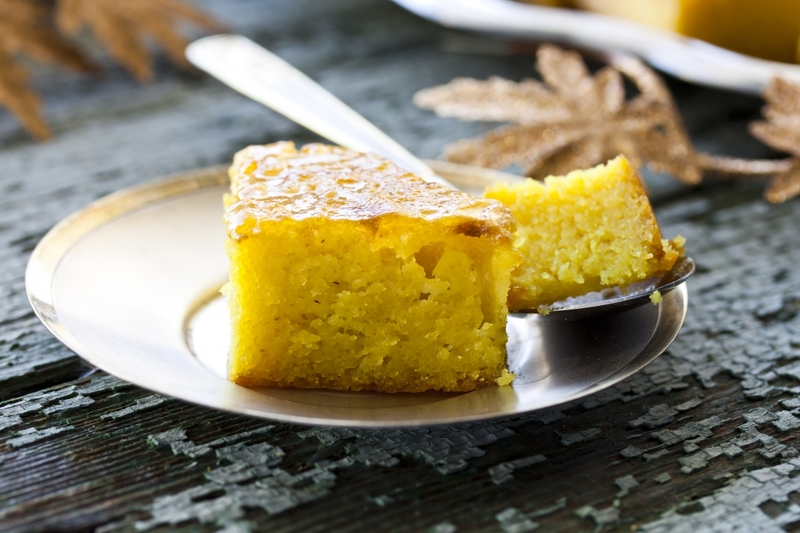 Cream of wheat is not for everybody, but those who can not stand the porridge, can still give it the second chance and try shamali cake, made by Cypriots from cream wheat and matsoni. Mix cream of wheat, 100 gram of sugar, matsoni, vanilla and baking powder until smooth. Pour the mixture into a baking tin and put into the oven, previously preheated to 180°C. Bake until golden. To make a syrup, melt 200 gram of sugar in 100 gram of water, add lemon juice and cinnamon and stir. Bring to the boil, then lower the heat and cook for 10 minutes. 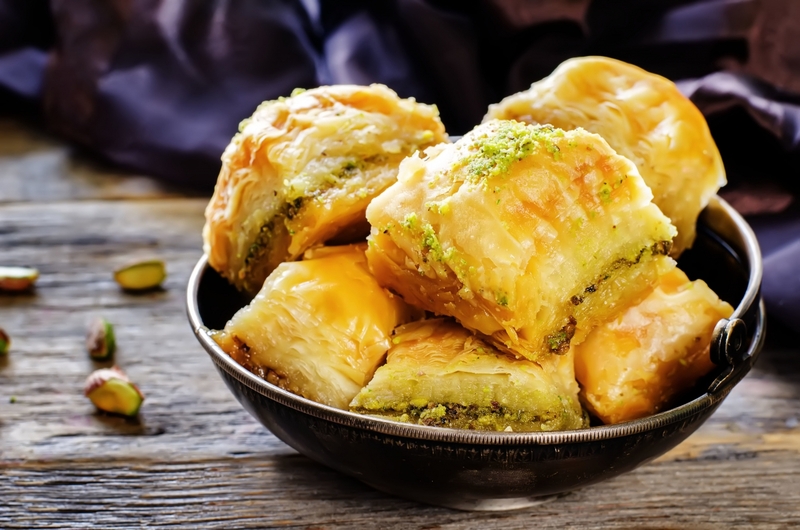 Kataifi is a very sweet dessert popular both in Turkey and in Greece. 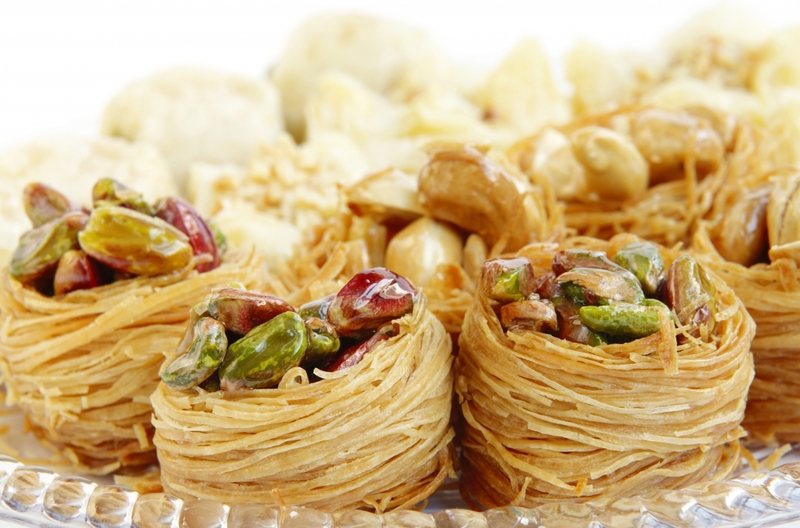 It is made from the thinnest kataifi phyllo with nuts on the inside and soaked in honey or sugar syrup. Grind almonds and pistachios and mix them with 50 gram of sugar and cinnamon. Unroll the kataifi phyllo from the plastic sleeve, slightly roll it up, drizzle with olive oil and place a tablespoon of filling at one end. Roll the phyllo it up to make a small cylinder. Place the cylinders on the pan, brush them with olive oil and bake in the preheated oven at 170-180 ºC for about 50 minutes. To make a syrup, squeeze one peeled lemon, then mix lemon peel, juice, 250 grams of sugar, and 200 ml of water and bring the ingredients to the boil. Lower the heat and cook for 15 minutes. Serve kataifi with this syrup and rosewater for soaking.